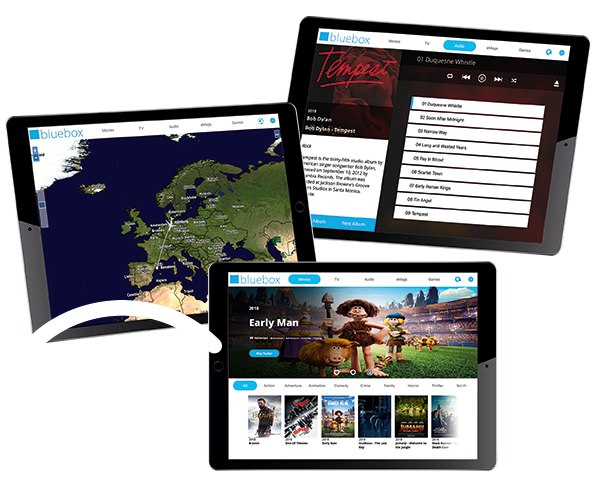 Bluebox tablet-based IFE is approved by all the major Hollywood studios to deliver the latest blockbuster movies, or Early Window Content (EWC), as part of the content set. 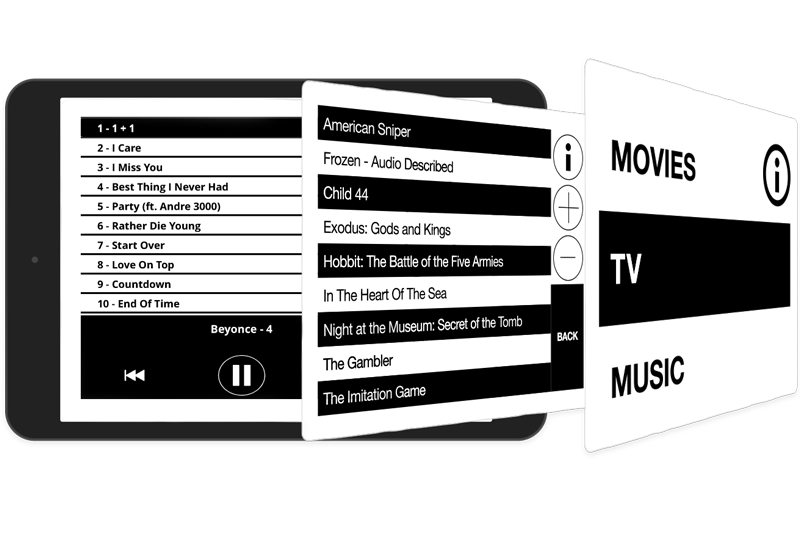 This cannot be streamed to passenger devices so if providing the latest Hollywood dramas and action films is top of your IFE content wish list, then Bluebox tablets will deliver. 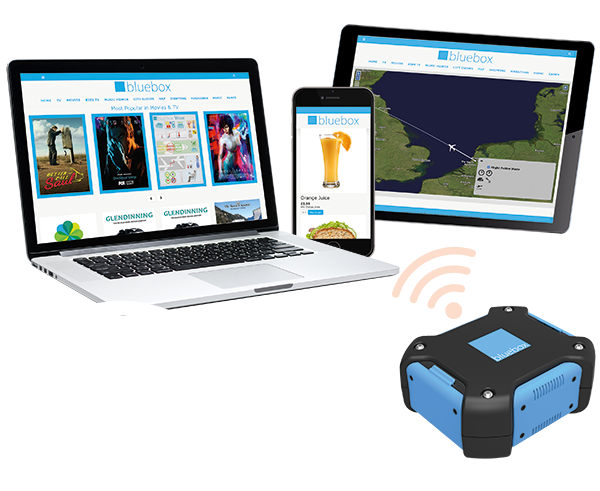 Some of our customers deploy Bluebox tablets across all cabins as an optional service for a small fee – and making it available for those who want it in this way is a fraction of the cost of deploying a full embedded seatback IFE system. Bluebox tablets also provide a service recovery option on aircraft with a seatback IFE system – if someone’s screen isn’t functioning, a Bluebox tablet can be provided to ensure that passenger doesn’t miss out, ensuring a positive passenger experience and saving you from the complaints from anyone who would otherwise have to go without. 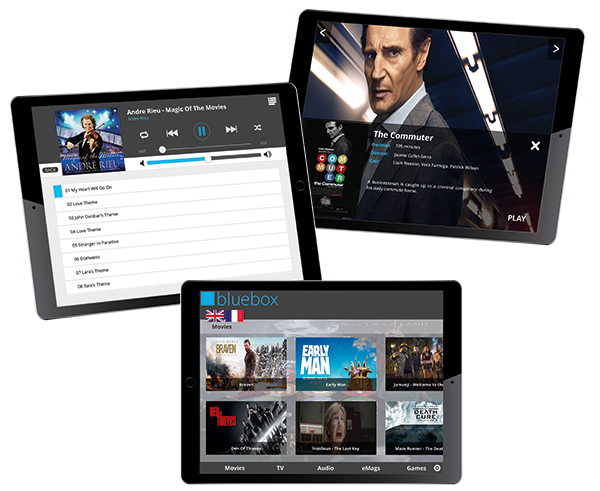 Choosing the Bluebox Hybrid option offers the added benefit of being able to access wireless streaming you have on board – such as additional IFE content, a moving map, or onboard shopping. Whether you offer the same content across all cabins but for a small fee in economy, or whether you provide larger devices such as iPad Pros in business class with more content, Bluebox Ai and Bluebox Hybrid provide flexibility for differentiating your IFE service across your aircraft. Both Bluebox Ai and Bluebox Hybrid iPads can be deployed with an option to switch to Bluebox aIFE – an accessible version easy to use for passengers who have a visual impairment, giving them the same IFE you offer to everyone else. For those passengers, the freedom, independence and equality of being able to operate the system themselves when they’d otherwise find it impossible without asking for help, is as important as the entertainment itself. More delighted – and loyal – customers. "With the help of Bluebox, we're building on our acclaimed inflight service by incorporating the latest in popular consumer tech products to enhance our in-flight entertainment options."